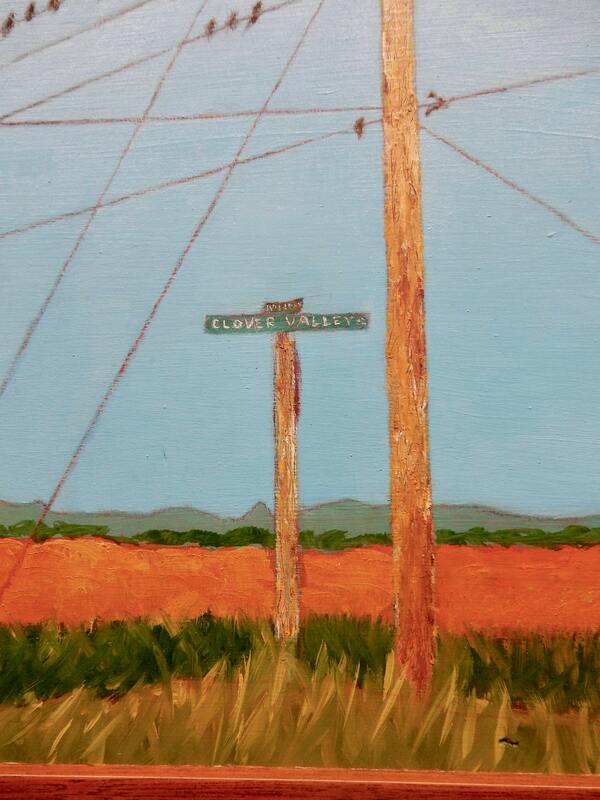 "Corner of Clover Valley & Willis Ray"
During the years I lived on Whitewater Lake, this was a familiar intersection on the way to and from town. 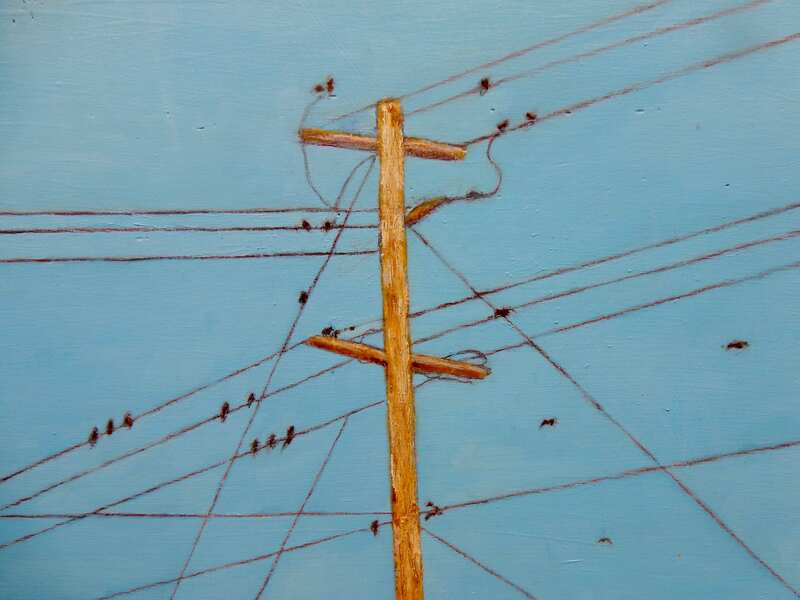 I was inspired by the connective lines and birds gathering there. 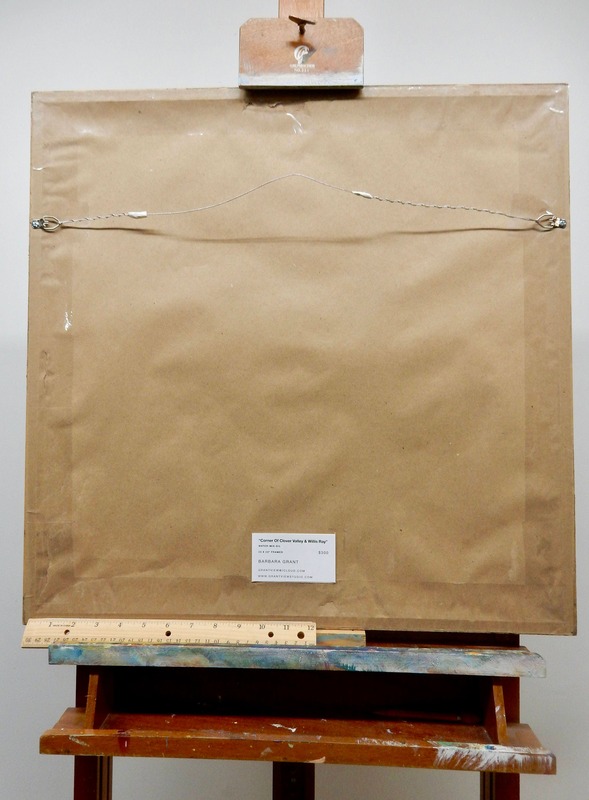 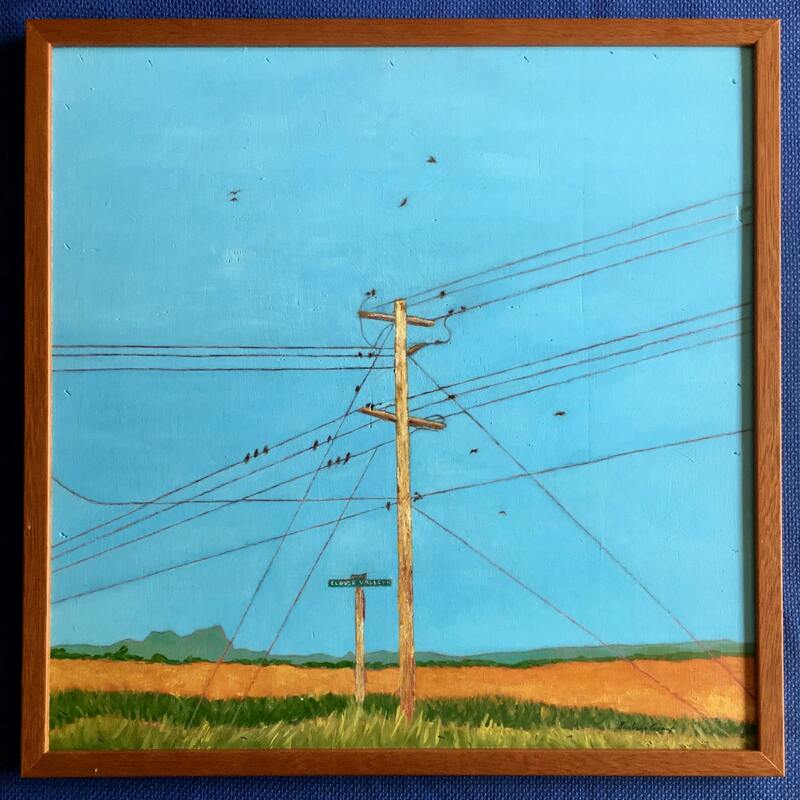 It was on this piece that I first experimented with water-based oil paints on wood. 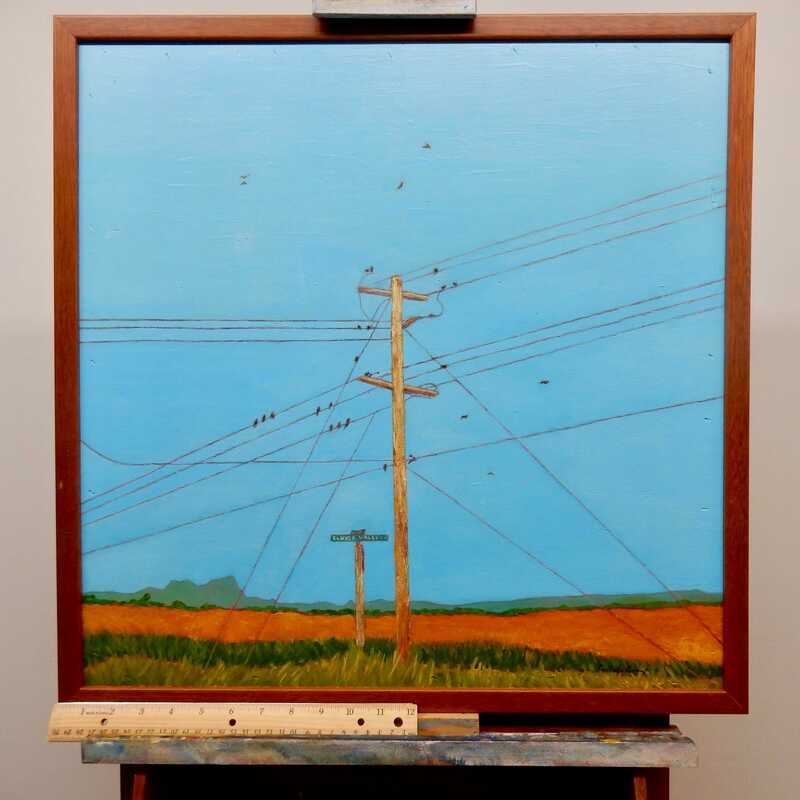 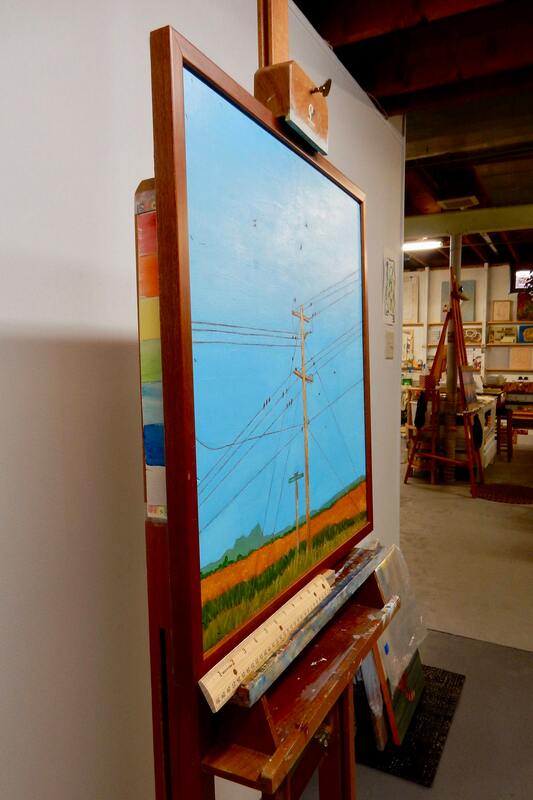 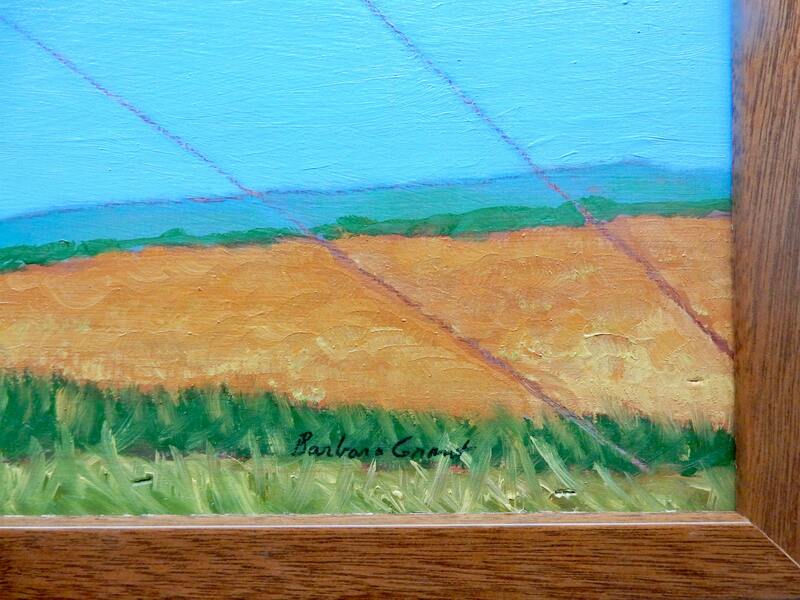 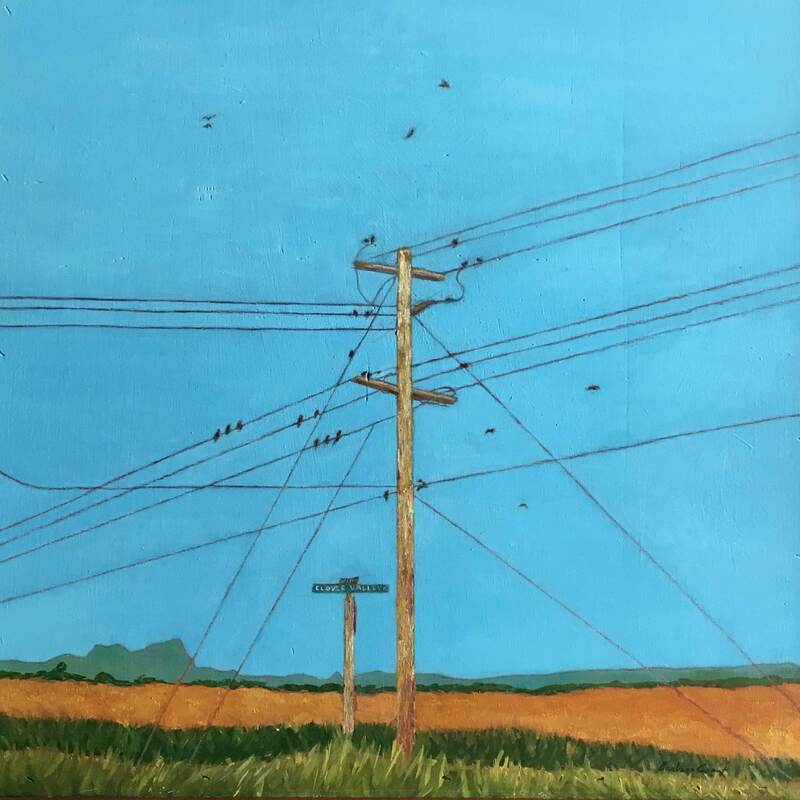 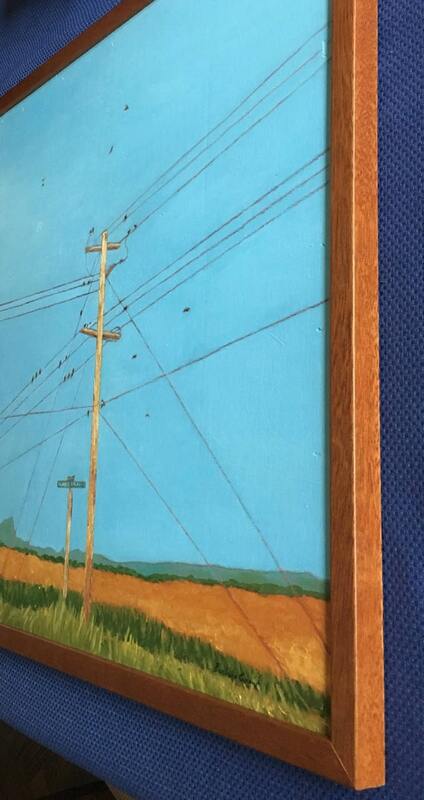 ✒︎ Tybo's Tall Tales: This is a Painting of a power line. 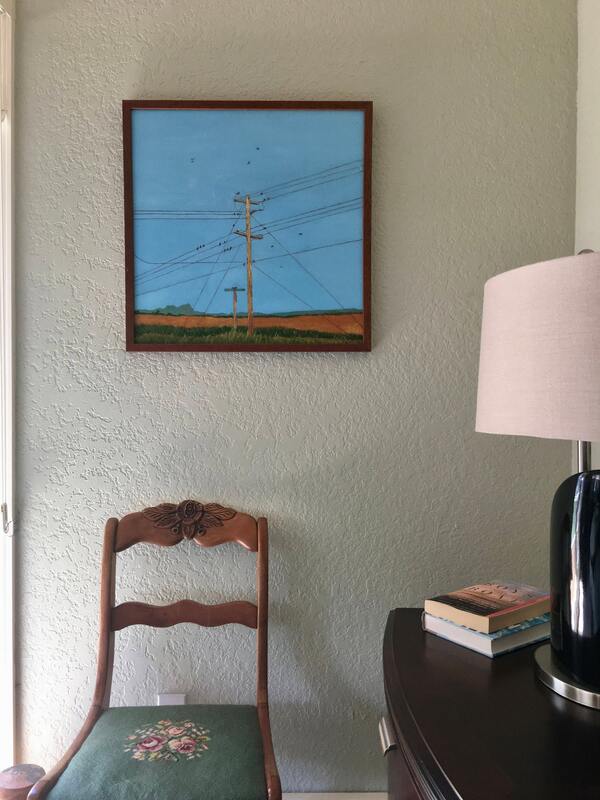 It could be symbolic of choosing two sides to every story, or it could be the holy power of electricity, and how humanity would no longer live without it.